There are 16 kWh version, 88-cell, and a "light" 14,5 kWh, 80 cell. At least in Peugeot iOn. It's a new from 2012 or early 2013: new i0n are equipped with smaller battery (and then smaller price), but tech improvement allow same range. What about the 10 kWh / $19000 Mitsubishi i-Miev? Does anybody know it? Sorry to resurrect an old thread, but I'm curious how this panned out. Do the later iOn and C-zero cars have the same range as their older sisters and the i-MiEV, despite the smaller battery storage spec? I have one question about my batery. 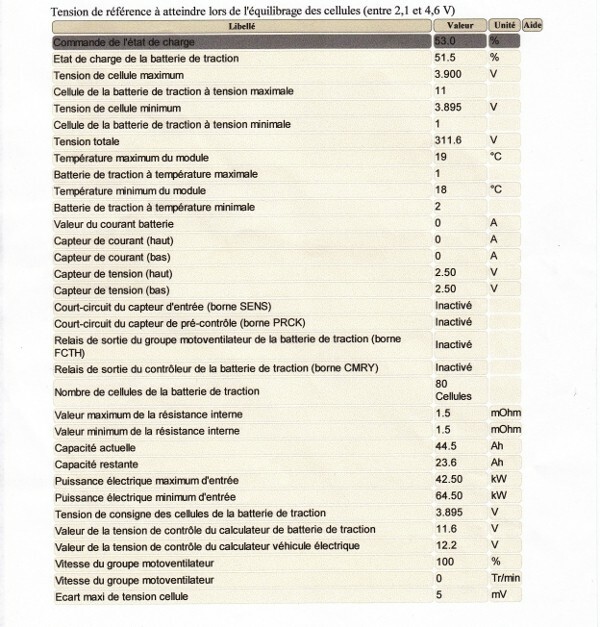 I buy Peugeot Ion 2012 with almost 60 000 km. I still wait for obdlink mx for better diagnostic. But I make test today. If i connect chademo quick charger he told me start capacity 18%. 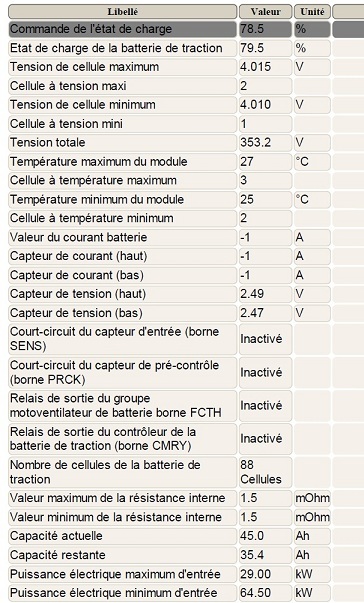 Charger disconect at 82% and give me 7,5kWh. I worry about battery. Fully charged range is about 80-90 km without A/C or heating. Looks unbalanced, try by completing the charge at home with slow charge for whole night. Charge shouldn't ever be manually stopped right after reaching 100%, because after charging, the balancing begins. Not leaving in charge after 100% for many times can lead to cells unbalancing, which results in apparent total capacity reduction.